Preschoolers are adorable and they ask A LOT of questions. "Why is the sky blue? Why do birds have feathers?" Questions, questions and more questions! They learn primarily through play and exploring, using all the senses. Physically, preschoolers move with greater sureness than before. 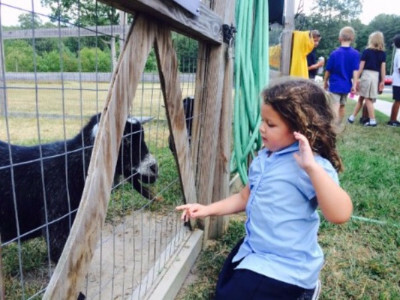 Three and four year olds are not only becoming more independent physically, but also emotionally. They are willing to try new experiences. They want to be more self-reliant and seek to expand the areas of their lives where they can be independent decision-makers. 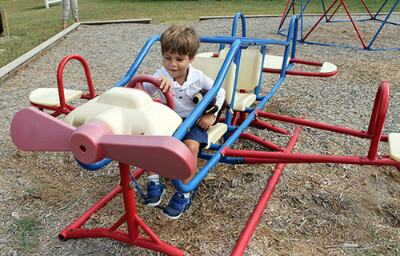 They are now able to cooperate with friends, take turns and begin to show problem-solving skills. 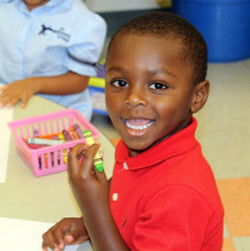 Preschoolers have imaginations that are in overdrive! Fantasy and pretend play becomes more interesting and involved. They love dramatic play and will sometimes get so involved in their imagined scenarios that they continue their roles even after the play stops (or is supposed to stop!). The curriculum in Junior Kindergarten relies on evidence-based brain science and information about how young children learn. Academics are balanced with free play, large and fine-motor activities, sensory integration and mindfulness. Preschoolers enjoy a variety of activities throughout the day including creative projects, letter and sound recognition, word games, counting, selecting, comparing and contrasting, language sequencing, patterning, and identification. 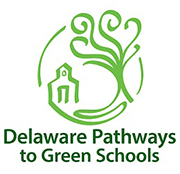 Students also explore themes such as friendship, sharing, diversity, personal responsibility, emotions and caring for others. Daily routines promote patience, listening skills, cooperation, problem solving, and self-advocacy, as well as social language and cognitive development. 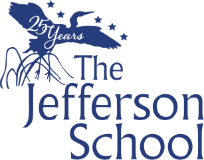 An important part of the Junior Kindergarten experience at The Jefferson School includes participation in music, art, Spanish and physical education with the school's appropriate specialty teachers and occasional field trips to a variety of local sites. Junior Kindergarten students enjoy frequent interaction with the kindergarten class, enabling them to play and work comfortably as individuals, with another classmate, or in a larger group. Free play allows children to use their creativity while developing their imagination, dexterity, and physical, cognitive, and emotional strength. It is through play that children at a very early age engage and interact in the world around them. Play allows children to create and explore a world they can master, conquering their fears while practicing different roles. As they master their world, play helps children develop new competencies that lead to enhanced confidence and the resiliency they will need to face future challenges. Free play allows children to learn how to work in groups, to share, to negotiate, to resolve conflicts, and to learn self-advocacy skills. When play is allowed to be child driven, children practice decision-making skills, move at their own pace, and discover their own areas of interest.